This is part of a larger model. 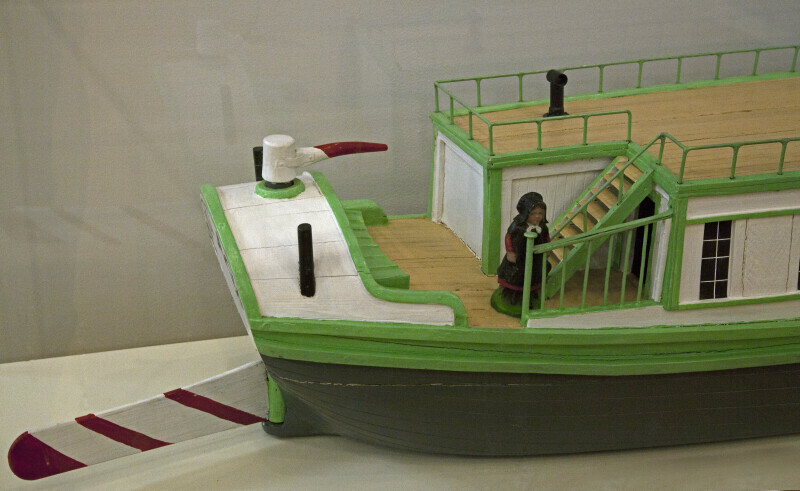 There is woman standing on the deck of a packet boat. This is the aft section of the barge, as evidenced the rudder and tiller. This visitor center is listed on the National Register of Historic Places, as part of the Allegheny Portage Railroad National Historic Site. WARNING: You are about to download a 51.9 MB TIFF!